Have today totaled 10 cl of this whiskey, but even those have not convinced me! There are too few flavors that can be attributed to a Rumfass and it is just too shallow of the flavors. The departure can not inspire me either, but at this price level you should not expect too much either. Also time has not really changed much in the nose and the taste. I did not dilute it or tried it as the basis for a cocktail, so I can not judge if it is suitable for it. Nose: very closed, mostly sweet smells Mouth: sweetness, fruit, vanilla, caramel, nutty, no pungency, barely seasoning, no phenolic burning..Where should it be at 40.8%? Departure: 2 minutes I would appreciate, did not really look at the clock, and I find this definition always the hardest. What is short, medium, long? In short, for the price certainly okay, but he can not convince me. No Daily dram. Neat I call this so-so, but if you try it in a Scotch Mojito, you’ll be in seventh heaven. The nose starts rather closed, I feel. It takes a while before some citrus appears in the guise of lime and some juicy mandarin. Pineapple cubes! Hint of white chocolate as well as some woodsmoke, albeit all the way in the background. It is silky soft, but very creamy. Next to the pineapple and citrus, I also get some marzipan and mint. Pretty spicy too, on white pepper and a pinch of cinnamon. The finish is medium long and very sweet. Unfortunately, the whiskey looks a bit young and the influence of the rum is not very present. Only the spicy Rye influence I found quite nice. Overall, the whiskey but not convincing. I found the Rye Cask finish quite successful, so it is this one too. Sweetish, fruity, grapes, lightly fermented, some sulfur, dried fruit, a subtle wine note, in addition a light, but rough oak notes, dark chocolate, with the time edged, the initial sweetness steps back a bit. soft, very mild, coconut, next to oak and fruit. bittersweet, light grainy notes, coconut, tart at the end, a few raisins to. Nose: fresh and a lot of grain (the grain is clearly through), exotic canned fruit (mandarin, pineapple and papaya), cumin, pepper and anise. The good is much spicier than expected. The Grain brings softness and the typical Grain sweetness and the finish in rum barrel some fruit but mainly strong spices. Now not unbelievably complex but quite unique and interesting. Taste: huih that has pepper, honey and a strong sweet caramel Grain note, some bitters wood and then comes a fierce rum sweetness around the corner, sugar water, lychee and in the short to medium-long finish comes again a little bitterness and wood (light Chocolate note). Very Grain-heavy blend (for people who do not get along with it certainly nothing) that stands out only by the noticeable rum influence from the mass of blends out. The Espresso Roast has a lot more to offer. "The three new expressions – Johnnie Walker Blenders’ Batch Rum Cask Finish, Johnnie Walker Blenders’ Batch Wine Cask Blend, and Johnnie Walker Blenders’ Batch Espresso Roast – were unveiled at the Diageo Reserve World Class 2017 cocktail competition in Mexico City this week. 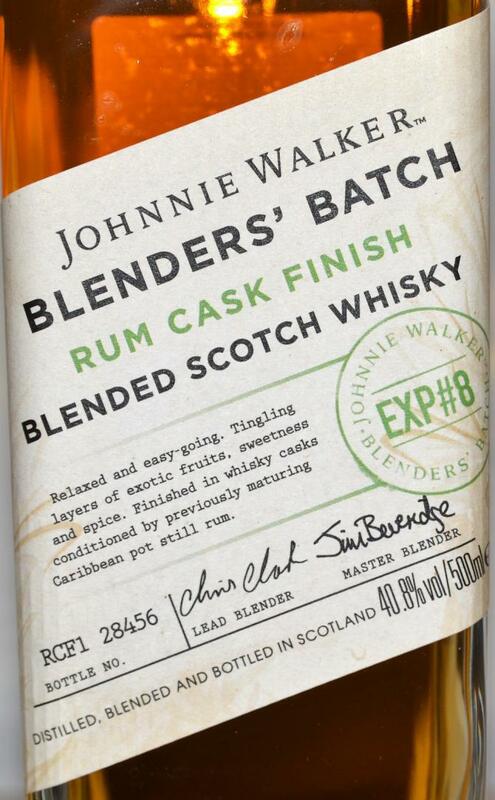 Johnnie Walker Blenders’ Batch Rum Cask Finish (40.8% abv) is said to be the result of 10 years worth of experiments by blender Chris Clark, and is a blend of whiskies from Speyside and the Lowlands that have been finished in casks that previously held Caribbean pot still rum. 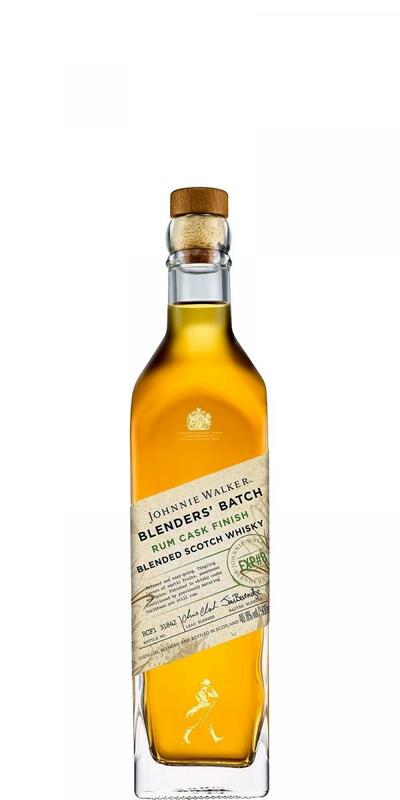 Aimée Gibson, Johnnie Walker blender, led the creation of Johnnie Walker Blenders’ Batch Wine Cask Blend (40% abv), which combines whisky filled into wine casks by Johnnie Walker’s master blender Jim Beveridge more than 10 years ago. The blend contains liquid sourced from distilleries such as Cameronbridge and Clynelish. Johnnie Walker Blenders’ Batch Espresso Roast (43.2% abv), meanwhile, is described as a “deliciously rich, smooth and meticulously crafted blended Scotch with punchy notes of rich coffee and dark chocolate”. It is the result of Gibson’s experiments using an inventory of whiskies distilled using barley roasted “more heavily than ever before”. The whiskies have been matured in a combination of rejuvenated casks and first-fill Bourbon casks. “Johnnie Walker Blenders’ Batch whiskies are the result of bold experiments that push the boundaries in flavour – just as Johnnie Walker Black Label did over a century ago,” said Gibson. “Over time that experimental blend has gone on to become a true icon of Scotch all around the world. 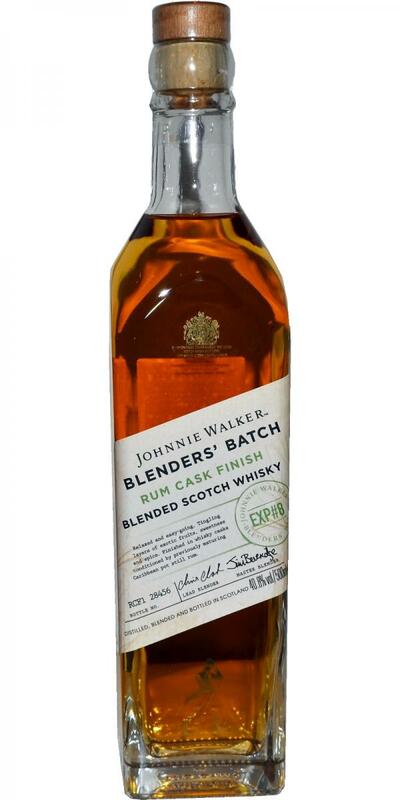 Johnnie Walker Blenders’ Batch Wine Cask Blend will launch in select countries from September 2017 with an RRP from US$29.99. Johnnie Walker Blenders’ Batch Rum Cask Finish and Johnnie Walker Blenders’ Batch Espresso Roast will launch exclusively in the global on-trade from October 2017."